Ralph Lauren listed the top ten spring essentials for men in their recent Style Guide. This post we’ll showcase the first essential. Stay tuned for posts on some of the other essentials–Frugalista style. Specifically a neutral colored trench. Now you could invest in a $500-$800 trench for your recipient, which will likely last many, many years. However, as a Frugalista—by design or current economic conditions—they can still style while you save. You’ll find lots of leather trenches under $50 on Bizrate, but that isn’t neutral and doesn’t sound very spring-like. Finding a neutral, traditional-like trench under $50 is elusive. For the ladies, at least you can find several styles under$50 at outlets like Old Navy, Macy’s and Kohl’s. Here’s the rundown after a search. Get the JACK™ Slim Single Breasted Solid Mens Cotton Trench Coat for $32. A single breasted trench in a classic cut. The coat does have a lot of flair for the price. Available at DinoDirect. They also have the POP HOMME® Classic Slim Single Breasted Cotton Men Trench Coat for $37, which is more traditional. Both are short versions. There’s the $150 Kenneth Cole Reaction Men’s Trench Coat Jacket @Amazon, now $50-$57. It’s neutral, but may be too much like the look perpetually rumpled Colombo rocks. He’s that detective from a seventies’ show that airs Roku or TVLand. Of course, your guy might love the look. You could also try the $195 Tommy Hilfiger Men’s Trench Coat now $58. It’s a little more tailored and lined with plaid. However, it’s also on the short side. Both available on Amazon with free shipping. Land’s End $200 NQP Trench Coat is on sale for $80. It’s neutral, has a tailored look with a back vent. It also has a button-out liner. This means it can also transition into the colder months. It’s fully lined. Keep in mind NQP means Not Quite Perfect so there may be small flaws. $275 coat sells for $100 and also has a back vent. It’s the longest of them all at 48”. It’s not $50, but Banana Republic’s Khaki trench is also more tailored than the cheaper ones. Traditional. It’s neutral and only $198. Less than half the price of the low-end $500 one. And remember, the right group can join in on presenting the pricier items.. Say 2 friends, 4 siblings or 3 siblings and a parent. If he’ll really love it, you’re creative and will figure it out. The umbrella is #2 on the Ralph Lauren Style Guide list. It might be hard to imagine men in this smart phone, harried world carrying an umbrella. Particularly the walking stick type. But, let’s face it the stick type is classier. And, given the recent inclement weather across the country. it could be a worthwhile trend. At any rate, it certainly adds to a guy’s style. 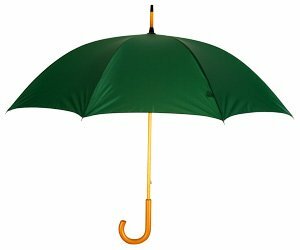 Lauren noted that a well-crafted umbrella has a watertight canopy with steel or brass ribs and a solid–preferably elegant—wooden handle. Thus it becomes an accessory to your style statement. While there are really nice umbrellas for $200 or more, Frugalistas can pull it off for less. Consider this Classic Umbrella from Umbrellas.net. This walking stick comes in classic black with a beautiful bamboo handle. Easy open and close. The price? $45. The Fulton umbrella is a folding/tote rather than walking type. However, it offers automatic touch opening. It’s wind resistant and also has a genuine wood handle. The Fulton also adds an international aspect. These umbrellas are manufactured “by appointment to Her Majesty Queen Elizabeth II” in London. 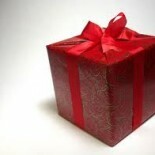 This also means you’ll need to check the shipping cost and time frame for your gift. The Fulton’s cost – £18.00 (currently~$29US ). There are a few nice walking stick umbrellas, but expect to pay about $70US. The Signature London Fog with wood handle and shaft sells for $31 at ebags.com. LuggagePoint.com has the Totes Deluxe Auto Open Stick Umbrella currently for $11. It has a retail price of $25 and their regular price is $13. This umbrella also has a wood hand and shaft. It also comes in non-traditional colors. This is one that could make a great gift for someone at the office if the need arises. It could also save you from straining your brain for a male relative you don’t know well, but might be called upon to get a gift. Someone like Uncle Gary’s, who you haven’t seen in years, 50th birthday party. If none of these fit the guy you have in mind to gift, check Nex-Tag, Bizrate, Google Products and the like for similar pricing. As a bonus with your gift, you might consider copying the Walking Stick Care guide from renowned umbrella craftsmen James Smith & Sons. They were established in 1830, so they know a thing or two. Things such drying off the umbrella after a rainstorm. Drying it carefully and away from direct heat. So, no sticking it on the radiator or drying it off in front of the fireplace. Now you can gift your guy recipient with a stylish spring accent. Simply, buy the Spring Essentials Frugalista style so that your portfolio remains safe. Come back tomorrow for more Spring Essentials, which make great gifts–with your budget in mind. Happy shopping. Thanks for coming by. I’d love if you shared this post with other Frugalistas. Join me on Twitter, too – @FrugalistaGuide. This entry was posted on March 22, 2012 by frugalistagiftguide in men's, season essentials, Uncategorized and tagged bargains, Frugalista, men shopping, men's gifts, Ralph Lauren Style Guide, spring essentials, trench coat, umbrella, walking stick.